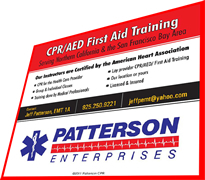 Patterson Enterprises is your source for advanced, mobile First Aid and CPR Training . 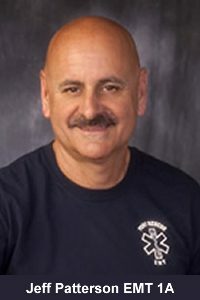 Company founder, Jeff Patterson has trained numerous physicians and health care professionals. 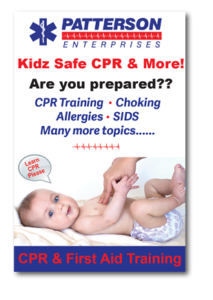 Patterson CPR Training can save you time and money by coming to your place of business to deliver the most up to date comprehensive trainings in CPR and AED First Aid. 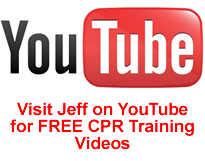 If your company or office staff need timely recertification in CPR and First Aid Training, contact Jeff Patterson for immediate results. Thursday at 5.30 pm only. The slides pictured below are from one of our many Mobile CPR Training Classes. Check out this page for more class trainings and events.